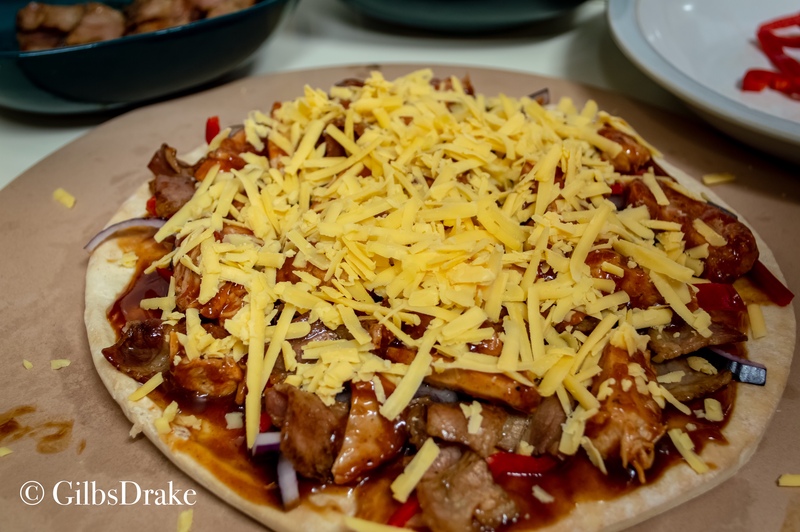 This is a very flexible recipe that I thought I’d put in as a bit of inspiration to get the youngsters involved with game preparation and cooking as every kid loves pizza. Beaters days are looming and I thought it would be a great simple idea as I don’t know a youngster that doesn’t love pizza. Bringing together the wonderful game meat and the future generations of the sport is something we all have to do. I seared the pheasant breast in a hot pan for a hot pan for 2-3 mins each side. 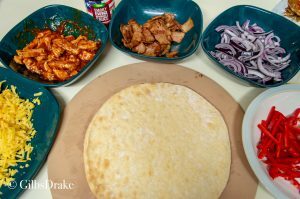 Remove from the pan and slice (this will still be raw in the middle but will finish cooking in the oven) add to a bowl with 2 tbsp of BBQ sauce. Use the same pan to cook the bacon, once cooked put into a bowl. 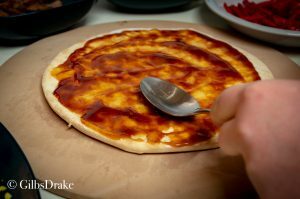 Spread the remaining 2tbsp of BBQ sauce on the base of the pizza. 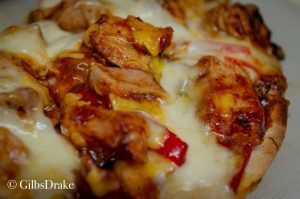 Sprinkle on 1/2 of the cheese, the red onion, red pepper, bacon and then the sliced pheasant, top with the remaining cheese. Optional extra is to add a few small drops of BBQ sauce on top for extra flavour and juiciness. Cook in a hot oven till the crust is bubbly and lightly charred usually 15-20 minutes.